This topic contains 7 replies, has 2 voices, and was last updated by Kamil 1 week, 3 days ago. i’m trying to set two forms to one pdf file. I’ve read this tutorial : https://www.formidablepro2pdf.com/embed-form-second-dataset/ but still with no effect. I have set one form as main with 3 fields to fill, and according to the choices embed form shows up. 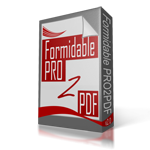 I’ve created hidden field and put the “fpro2pdf-field-hidden” value in there, then set in PRO2PDF SETTINGS TAB everything like in tutorial etc. I’m getting blank pdf at the end, only 3 first fields are filled (from main form). Could please help me? There are a lot of possible issues with the 2nd dataset option. It would be fastest for us to login and take a look at your installation, if possible, complete this form to provide credentials. 1 & 2. From the plugin’s EXPORT tab… Both Field Map Layouts showing the settings and at least the first row of mapped fields. ALSO!!! Verify that you are able to merge both layouts using the “Export to PDF” button on the plugin’s EXPORT tab. i can send you credentials – just let me know which way. I mean, which form? There is no link in your post. Our apologies, use this form.